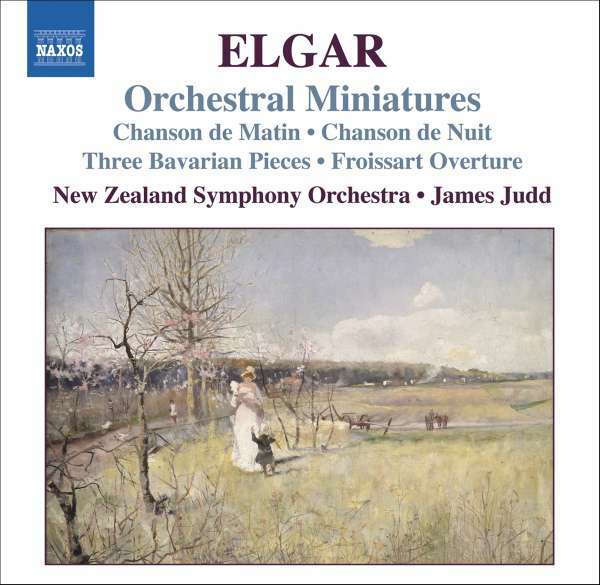 With their engaging, wistful charm and immediate melodic appeal, Elgar's miniatures represent a less familiar side to the composer's music. 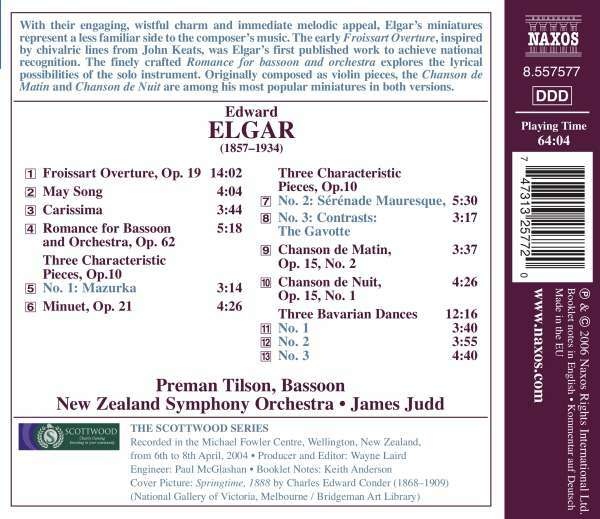 The early Froissart Overture, inspired by chivalric lines from John Keats, was Elgar's first published work to achieve national recognition. The finely crafted Romance for bassoon and orchestra explores the lyrical possibilities of the solo instrument. 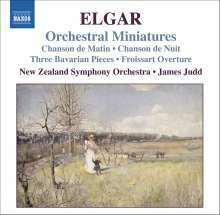 Originally composed as violin pieces, the Chanson de Matin and Chanson de Nuit are among his most popular miniatures in both versions.